Tom has played every major theatre in Ireland and has toured extensively in the U.S.A, England, Hong Kong and Vienna. He was a member of the R.T.E Players from 1968 – 1972. Tom was a founder member of the Project Arts Centre, was Actor Manager with World Theatre Productions for 12 years and was also Artistic Director of the Lyric Theatre, Belfast 1987/88. 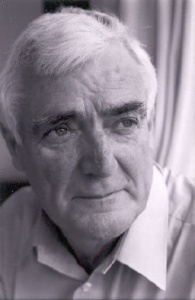 Some of Tom’s television and film roles include Farrell in Strumpet City, Seamus Doherty in The Manions, the father in Outcasts, the I.R.A Commandant in Lost Belongings, the psychiatrist in Remmington Steele, Mr Gillhooly in The Watchers, Jimmy Cagney in Inside, the demolition expert in Cry of the Innocent, The Field for Jim Sheridan, Gerry Glynn in Strange But True for London Weekend Television, Moll Flanders and most recently Paddy in The Anarchic Hand Affair. Tom is currently playing one of the leading characters, Charlie Kelly in RTE’s popular soap Fair City.